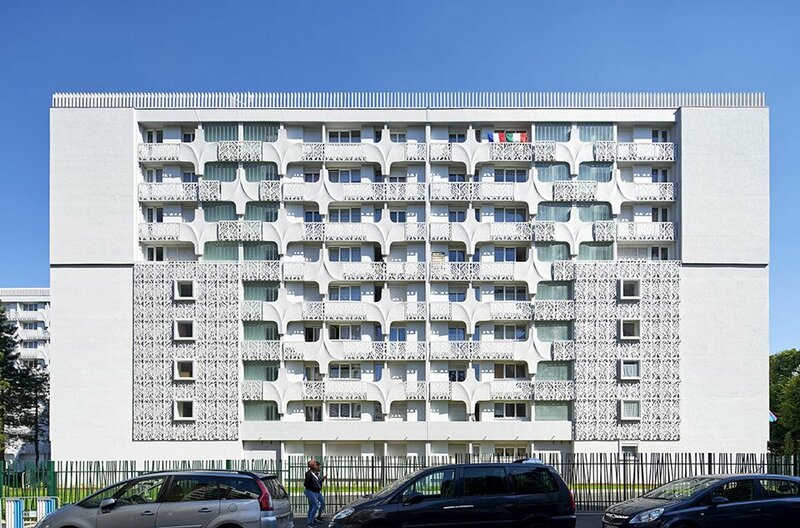 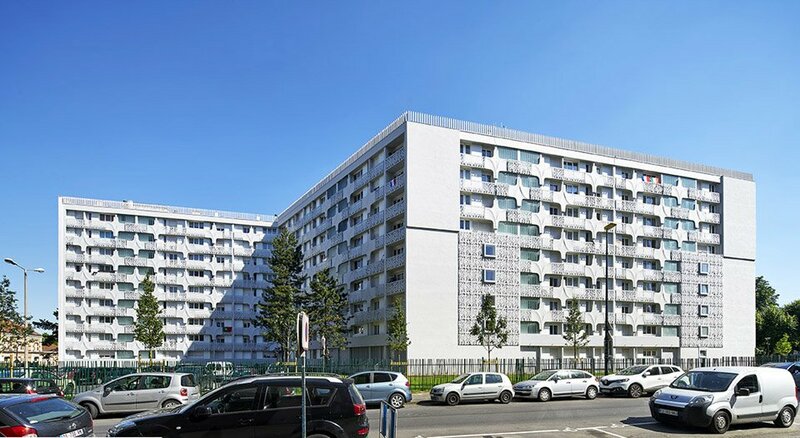 The buildings called « Buignet – Tournelles » and « Poncelet », belonging to social landlord MC Habitat, are located in the center of Chelles (30km North-East of Paris) close de the churches Sainte-Croix and Saint-Georges, both listed historical buildings which have been restored and transformed into Contemporary Arts Centers. 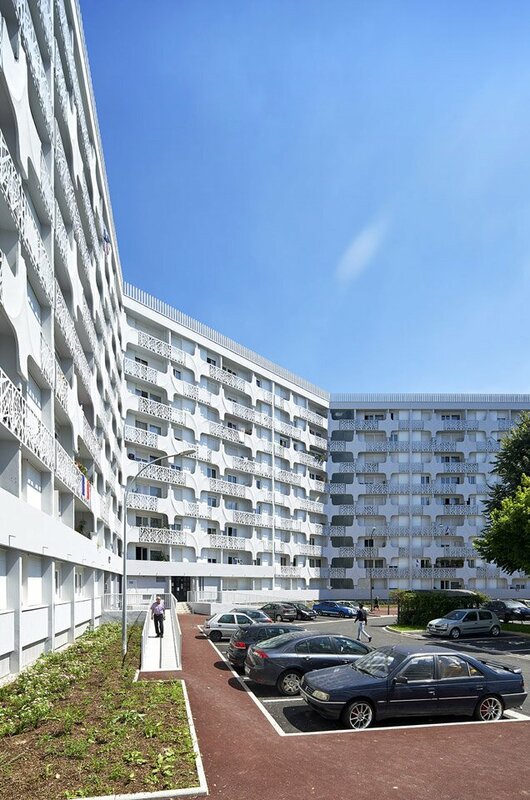 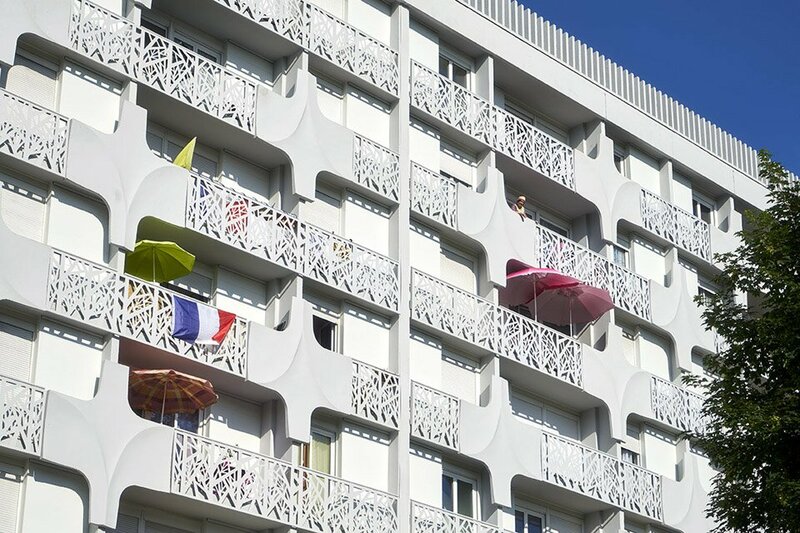 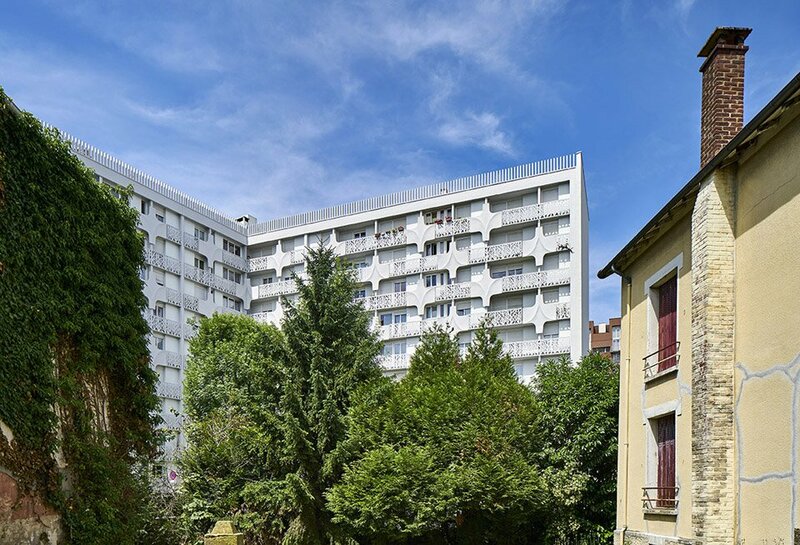 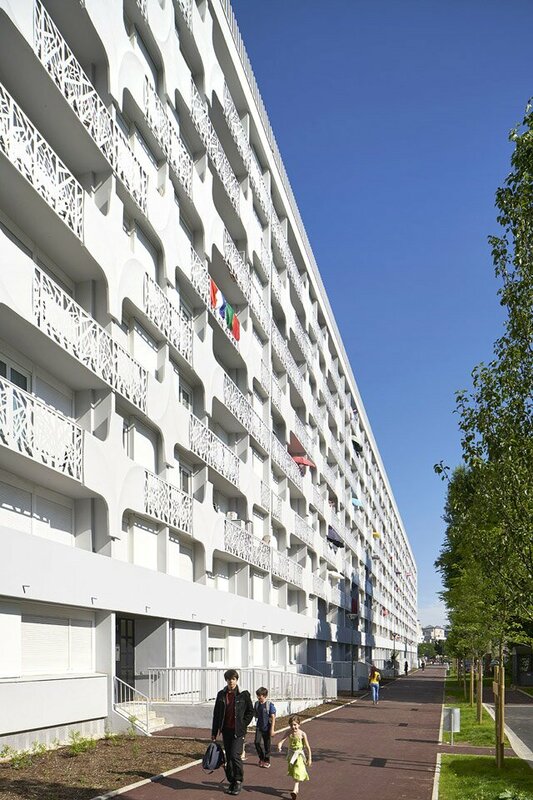 The two buildings, built between 1967 and 1969, are 9 storey high for « Buignet – Tournelles” and five storey high for «Poncelet ». 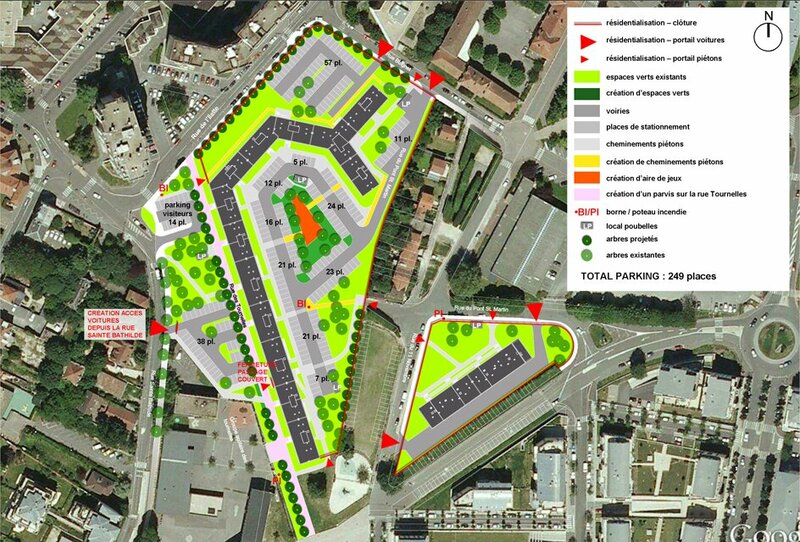 The external spaces are composed of green spaces, leisure areas and car parking. 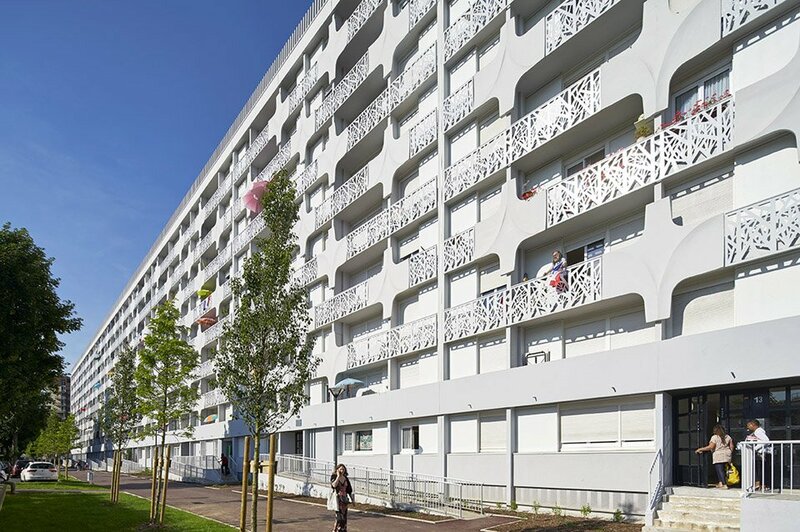 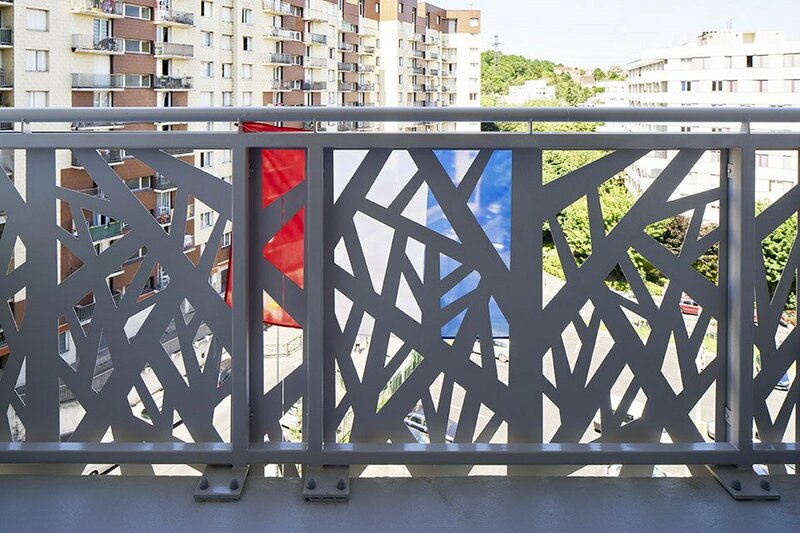 The process of residentialisation with the creation of people friendly and identifiable spaces for the tenants and visitors was the result of a long urban reflection on the site. 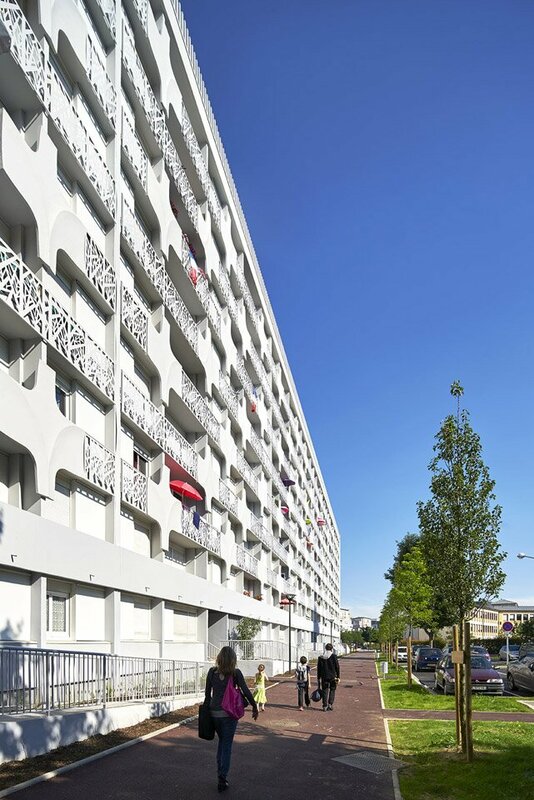 The footpath leading to the entrance halls along the rue des Tournelles plays an important role in the urban connections between the public spaces and the commercial street to the North. 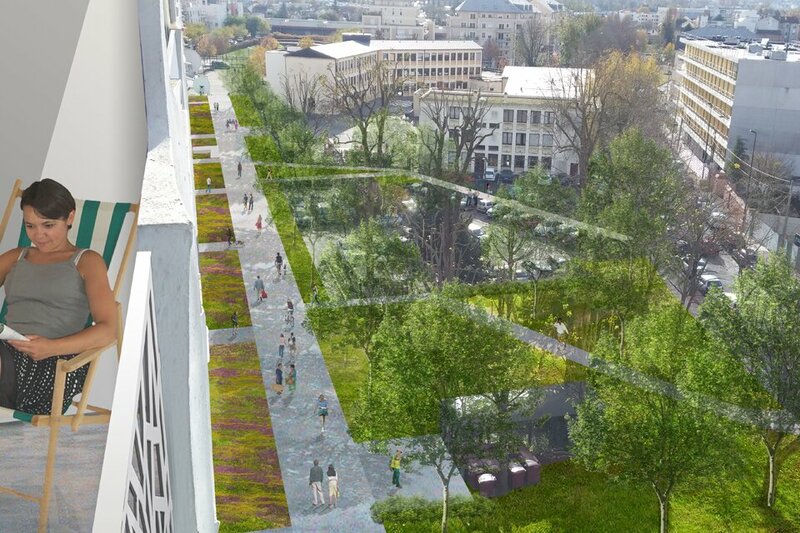 Instead of privatizing the access points on the rue des Tournelles and to deny its important urban role we have instead chosen to reinforce and valorize the link between the place Georges Guillaume and the commercial street with the creation of a public tree-lined open linear pedestrian “parvis” or open square.